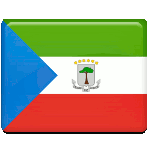 One of the public holidays of Equatorial Guinea falls on August 3. This is Freedom Day, that is also known as Armed Forces Day. It's annually celebrated on the anniversary of military revolt in 1979. Equatorial Guinea gained independence from Spain in 1968, Francisco Macías Nguema was elected as the first president of the country. Nguema installed dictatorship, that foresaw only a single-party system. First all parties and organizations were dismissed, then Nguema broke diplomatic relations with the USA and Spain. In 1972 he declared himself president for life. Francisco Nguema was deposed by a bloody coup led by his nephew Teodoro Obiang Nguema on August 3, 1979. Soon after Francisco Nguema was tried and executed. After the coup much of nationalized property was returned to its owners, relations with the USA and Spain were also resumed. In 1982 a new constitution was adopted, granting extensive political freedoms. Anniversary of the 1979 coup is annually observed in Equatorial Guinea as a public holiday.